Whether you’re hosting a party or simply craving some pizza, Jumbo Pizza Langley has your hunger under control! We deliver hot and fresh pizza to your door throughout Langley and Aldergrove for a satisfying meal every time. We make all the classics like pepperoni and Hawaiian, as well as some new favourites like our butter chicken and Mediterranean pizzas. We specialize in large group orders; we’re not called Jumbo Pizza for nothing! We cater any time for business meetings, school lunches, late night parties and family dinners. Looking to spice up your meal? 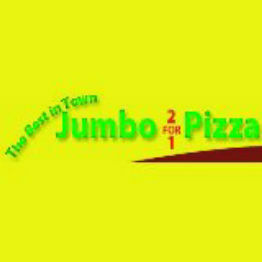 Jumbo Pizza offers much more than pizza! We also make fresh tandoori or butter chicken, samosas, and chicken wings to satisfy any of your cravings. Visit us in Langley today for a slice or a take-out pizza pie. We’re located across from North Otter Elementary and deliver anywhere in Langley and Aldergrove.